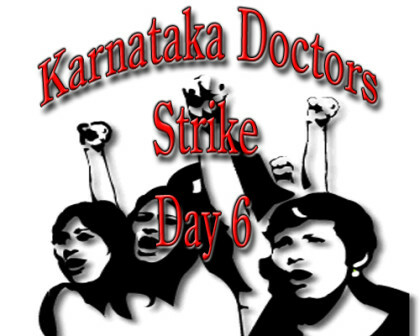 The strike of 2500 resident doctors across government hospitals of Karnataka has moved into its 6th day for the lack of any formal response from the government. KARD general secretary, Dr Anudeep T.C did meet the Chief Minister Karnataka today, who has given them a verbal assurance that their demands shall be addressed in the next cabinet meeting. Devoid of the backbone of resident doctors, Dr Krishnamurthy has requested the doctors to come back to work. The residents did meet the Medical Education minister yesterday at MMCRI, who also promised to recommend their demands in the cabinet. With Lack of any formal communication and no idea when the State cabinet will address their demands, Karnataka Association of Resident Doctors continue their strike.